Is there a CMS surveillance software package that will work with DVRs from different manufacturers / brands? This is a fairly common question that CCTV Camera Pros gets from installers and security camera companies around the world. Here is one that we received recently. Here is one that we received recently. I am an installer in Canada that supplies, installs and services CCTV camera systems. We have had an inquiry from a client that has three different DVR’s in 3 different locations.They are good distances apart so hard wire is not an option. DigiMerge and FLIR are 2 of the DVR’s and I believe the 3rd is an older model of DigiMerge as well. 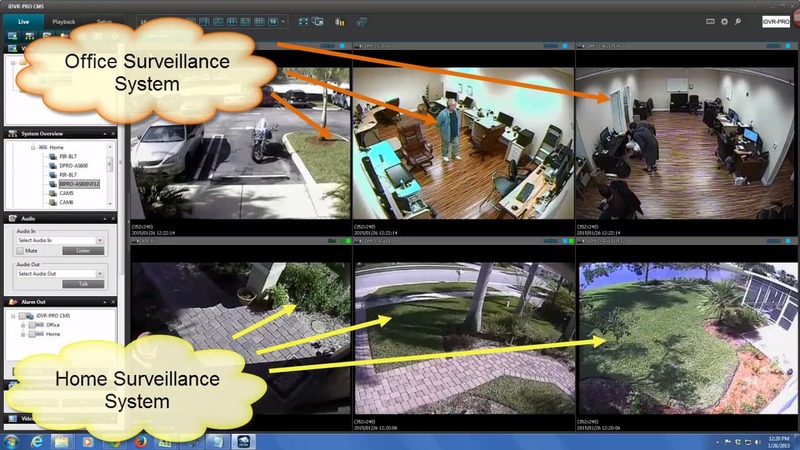 Are you aware or using any CMS software that allows users to connect to and view cameras from different brand DVRs? I am looking for a software solution that can manage all 3 models of DVR. We are in Central British Columbia and although we have a good deal of knowledge of CCTV (Analog & IP) products, we are wondering out loud and thought we would seek out others that “may” have encountered this scenario. Here is the answer that I provided. The problem that you ask about is a common one that we get questions on. Unfortunately, each DVR manufacturer only makes monitoring / viewing software for their specific DVRs. There are no manufacturers that make a generic CMS package that can generically connect to many different brands / types of DVRs. My understanding is this is because there is no interface standards that DVR manufacturers abide by to make this possible, so again they all just program for their own because that is what they are capable of. Our iDVR-PRO has some of the best CMS software that I have seen for both Mac and Windows, especially for clients that need custom views from different DVR locations. But unfortunately, it only works with the DVRs on this page.